The novel The Yiddish Policemen’s Union should come with a large, bold warning label affixed to the outside cover, like those labels on cigarette packs. WARNING: READ WITH CAUTION IF YOU ACTUALLY LIVE UNDER A JEWISH ISRAELI MILITARY OCCUPATION. Pulitzer Prize-winning author Michael Chabon should have known better than to gift me his novel. Michael visited our home in Palestine this past summer and after spending the day giving him a tour of the Palestinian cities of Al-Bireh and Ramallah (central West Bank) and Nablus (northern West Bank) we settled down, along with Palestinian writer Fida Jiryis, for dinner at Darna Restaurant, located in the heart of historic Ramallah. By the time dinner was over, not only had we learned about this author’s amazing professional career and life journey, but he casually mentioned a note about this novel that he wrote back in 2007 that was based on a real historic fact in U.S. politics related to the issue of Palestine and Israel. I was puzzled and asked if he was joking. He wasn’t. I’m sure it showed that I was embarrassed to have never heard of this fact, given I’m rather well read on the topic. Before parting, he passed me a copy of the novel as a thank you gift. I must make a confession here. Reading fiction does not come easy for me. I guess, while living under a military occupation, there is too much non-fiction pounding at our lives to allow us to get happily lost in fiction. Reading The Yiddish Policemen’s Union may have changed that. No wonder this novel received a ton of awards; it takes fiction to new levels. Not only does Michael have a truly amazing command of the English language (proof being that my dictionary accompanied me in turning each of the 414 pages), but it turns out his Yiddish is not so bad too. Add to that a true historic premise to base his plot on, and linking the story to a few themes that are alive and well, albeit repulsive (think murder, racism, substance abuse, and more) in today’s real world, and what comes to life is something that you’ll be reflecting on long after the book takes its well-earned place on your bookshelf. When I was about half way through the novel, a New York Times article came across my desk that made me burst out laughing. The article was titled, How Do You Say ‘Email’ in Yiddish?, by Joseph Berger (Oct. 4, 2016). It was about a new 826-page Comprehensive English-Yiddish Dictionary published in June by Indiana University Press. How’s that for synchronicity? Given every other word in Chabon’s novel that I was looking up was not in my English dictionary—because it was Yiddish—I almost wrote the New York Times to tell them that they missed mentioning a major contributor to keeping Yiddish alive, the novel I was reading. I must say Michael is a bold writer. If The Yiddish Policemen’s Union was written by a non-Jew, it could well have marked the end of the author’s career, if not worse. But coming from a Jewish-American, a member of the tribe, if you will, he can take readers where others would not dream of going. He does this with an all-so-delicate balancing act that would afford him a lifetime membership with the Palestinian Circus School. The historic U.S. political fact that took me off balance was, as I have come to learn, the very real 1940 Slattery Report, officially titled The Problem of Alaskan Development, which was produced by the United States Department of the Interior under Secretary Harold L. Ickes in 1939–40. It was named after Undersecretary of the Interior, Harry A. Slattery. The report recommended the provision of land in Alaska for the temporary refugee settlement of European Jews who were being persecuted by the Nazis during World War II. This is where Michael leaves reality behind. The Jews in the novel who settled in the Alaskan city, Sitka, are anxious throughout the novel because the “Reversion” is nearing. The “Reversion” is the date when the orderly return of Sitka back to the State of Alaska is supposed to take place. All this while the main character, Yiddish policeman Meyer Landsman, seeks to resolve several murder investigations, and he and his partner stumble upon a paramilitary group that wants to build a new Temple in Jerusalem after destroying the Dome of the Rock, hoping to speed the birth of the Messiah. An evangelical Christian Zionist American government supports the group. As the novel nears the end, news reports are heard of the Dome of the Rock being bombed. Now, why should this novel come with a warning label? Because between the seriousness of the political premise, the gut-wrenching humor, the community involved, the concept of a collective return of land as even being imaginable, the real, day to day stories—love, death, addiction, work, relationships, etc.—interspersed, and the burning of the Dome of Rock, which already happened once in reality and is being threatened again these days, it’s just too much for a person living under an actual Jewish (or so believed)-inspired military occupation to handle. Thanks, Michael! I truly enjoyed this read. We are all looking forward to your and Ayelet Waldman’s upcoming book, Kingdom of Olives and Ash, from Harper Collins Publishing, addressing 50 years of the very real Israeli military occupation of Palestinians. The dozen or so award-winning, world-class authors contributing to this upcoming book will offer a sincere cry from the mountain top for this human-made tragedy called the Israeli-Palestinian conflict to come to an end. Unlike in your novel, we Palestinians do not seek Reversion; we seek peace based on justice and equality for all, in a land not divided by walls, fences and checkpoints, but whose people are joined in harmony. If you are Palestinian or Israeli, Jewish, Muslim or Christian, or simply human, you will enjoy these short stories tremendously. If you are none of the above, then just buy the book and place it on your bookshelf for all to note in awe the powerful one word title, Native, which says it all! 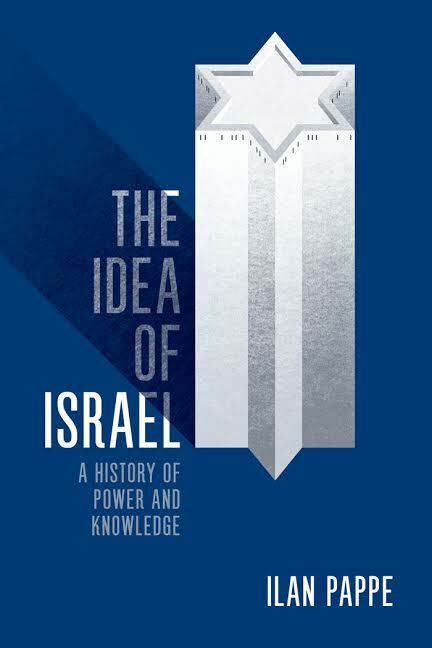 Palestinian-Israeli writer Sayed Kashua should be commended for writing this book, as should be the publishers who took on the task of bringing it to the English reading community. Where diplomacy has failed, politics has stumbled, and common sense remains a rare commodity, one hopes that Kashua’s shrewd satire and political barbs can break open closed minds and pave the way for a breakthrough for Palestinians and Israelis. If not, Kashua is fully content in just making the reader laugh, then freeze, knowing the words are reality, then cry, as he pokes fun at everyone, mostly himself. Kashua’s poor wife! She seems like such a wonderful person, loving and caring, but she is the target of his relentless attacks and haphazard lifestyle. I’m actually considering starting a humanitarian drive to support her, a sort of Brexit, maybe we’ll call it Kaexit. You’ll understand after you read the book. This book of short stories is organized into four parts based around specific timeframes, as is each story. The parts are: Warning Signs (2006-2007), Foreign Passports (2008-2010), Antihero (2010-2012), The Stories That I Don’t Dare Tell (2012-2014). For anyone living in Israel/Palestine, or even having an inkling of knowledge about the places, the ability to relate to the story lines is immediate. Kashua dives much deeper than the superficial political issues; he enters his home, family, culture and so much more. The most volatile chapters are when he enters his own mind; read with caution, always remembering that satire comes from reality. Given I read this book while on a vacation with my family in the US, it took on even more of a meaningful read. Kashua writes, “There are Israelis who say that only after leaving the country did they realize how illogical life is there, how stressed they were, and how all of a sudden there are different concerns now. Concerns related to work, to everyday life, to the weather, and mainly to the family.” He could have easily replaced “Israeli” with “Palestinians,” as he frequently does, and all would have remained true. Kashua comically amplifies the convoluted reality in both Palestine and Israel, which is causing the younger generations to voluntarily walk out and relocate to saner corners of the world—I would add, only to find those new corners are called Brussels, Paris, London and Orlando, all with their own share of convolution. As Kashua walks the reader through his family’s decision to leave Israel and emigrate to Chicago, he writes, “I must help my children understand that Israel is not the end of the world—that if, God forbid, they don’t succeed there and they feel ostracized, different, or suspect, or when reality blows up in their faces, they’ll know that there are other options. It’s true that they’ll be different, but in a different way. They’ll be immigrants, and maybe they’ll have an accent, and they’ll feel a little strange. But they’ll be strangers in a strange land, and not in their homeland.” That last line says it all! Palestinians, be they citizens of Israel or residents living under Israeli military occupation in the West Bank or Gaza Strip, awaiting their long-delayed state, are all being made to feel like strangers in our own land. The result will be tragic. Kashua repeats a phrase that his father repeatedly told him, “only the beginnings are hard.” Let’s believe that and hope that new beginnings don’t have to include one reaching a point where they can no longer live in their own homeland, but rather restart their lives right at home. Reviewing this book evoked a serious contradiction in my mind. On the one hand, the book deserves to be read and commented on in its own right, having been written in Hebrew and translated into English. It’s a book aimed at our funny bone, but the underlying truths are too close to home. A hopeful takeaway from this heartfelt effort is that more Palestinian citizens of Israel are making their voice heard, in other than Arabic, which holds the hope that as more people, especially Jews around the world, get a peek into what Israel has become, change will be forthcoming. The Saqi Books website states, “Sarah Cleave, publishing manager of Saqi Books, who acquired rights from Abner Stein in association with the Deborah Harris Agency, said ‘Native is a wickedly sardonic, moving and hugely entertaining collection that offers real insight into the lived experiences of Palestinians in Israel.’” This is so true. Not since the weeks following Stephen Hawking’s mega endorsement of the Boycott Movement has zionism gone on the defensive of their evil deeds with such fury. This time the result of a book, written by a Jew. That fact alone is a kick below the belt that really hurts them …. especially since it’s all true. One blog after another took whacks at Alterman’s credibility: He misspelled the name of novelist Yoram Kaniuk (true). He unfairly ridiculed Blumenthal’s descriptions of the long-dead Israeli philosophers Berl Katznelson and Yeshayahu Leibowitz (arguable). He misrepresented Blumenthal’s substantive assertions about Israeli “fascism,” “racism,” “militarism” and more (entirely untrue). But once you get past spell-checks and gotchas (for the record, Blumenthal refers to poet Allen Ginsberg as “Alan”; mentions the Canaanite god Moloch, from a Ginsberg poem, as “Mollock”; describes the moshav, a small-holders’ farming village, as a “collective farm,” and much, much more) the critics’ main complaint seems to be that Alterman’s review is the only one that’s appeared in print so far. 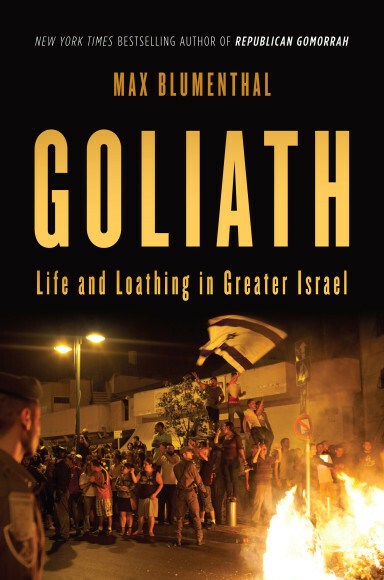 Outside the far-left and anti-Israel blogosphere, “Goliath” has been ignored. Where to begin? First, to the extent that “self-appointed enforcers” tried to limit debate on Israel, it was much worse in the 1980s. The last two decades have seen an explosion of robust discussion. How Eric Alterman might suppress that is unclear. As for the book’s supposedly unusual interviewees, they appear regularly, everywhere from Charlie Rose to The New York Times, Haaretz and the Forward. Blumenthal doesn’t know the history and ignores the inconvenient bits of the present, which is one reason his book has flopped. Worse, he thinks he knows all he needs to know, and just what readers need to know. He describes Israel’s assault on Gaza without telling of the thousands of rockets bombarding Negev towns for years beforehand. He touchingly recounts the 2004 assassination of Hamas founder Abdel Aziz al-Rantissi but doesn’t mention the hundreds of Israelis killed by Rantissi’s suicide bombers. The Palestinians are guilty of nothing. Israel’s actions are entirely unprovoked, motivated by pure racism. Strangest of all are his accounts of his interviews with prominent Israelis, from novelist David Grossman to politician Shai Hermesh, in which he preaches to them, browbeats them and then finds them storming out on him — or in Grossman’s case, asking Blumenthal to throw away his phone number. Why? Obviously, they’re unwilling to hear the truth. Of all the aftershocks in the Blumenthal saga, though, none is more telling than his October 17 appearance at the University of Pennsylvania. His host was political scientist Ian Lustick, author of the September 15 New York Times essay, “The Two-State Illusion,” which argued for a single Israeli-Palestinian state. Blumenthal isn’t. It’s a chilling moment, even for the anti-Zionists among us. Pete Seeger is often described as an icon. This is an apt term for someone who popularized the notion of socially responsible singing in the 20th century, and, along with Harry Belafonte, was among the leading combined cultural figure/activists of his time. Seeger linked Woody Guthrie to Bob Dylan, and then added a connection to Bruce Springsteen; the latter revived many of Seeger’s songs in his landmark The Seeger Sessions recording. Pete Seeger, arguably the person most responsible for the revival and popularity of folk music in the United States, turns 94 on May 3. Seeger’s unparalleled life led him to engage in nearly all of the leading social movements of the 20th century, including the labor sit ins in the 1930’s, the economic justice campaigns of the 1940’s, fighting the blacklist and promoting peace in the 1950’s, the civil rights movement of the 1950’s and 1960’s and the environmental movement that began in the 1970’s. Fortunately, Seeger’s extensive writings are now available in a new book, Pete Seeger: In His Own Words, selected and edited by Rob Rosenthal and Sam Rosenthal. 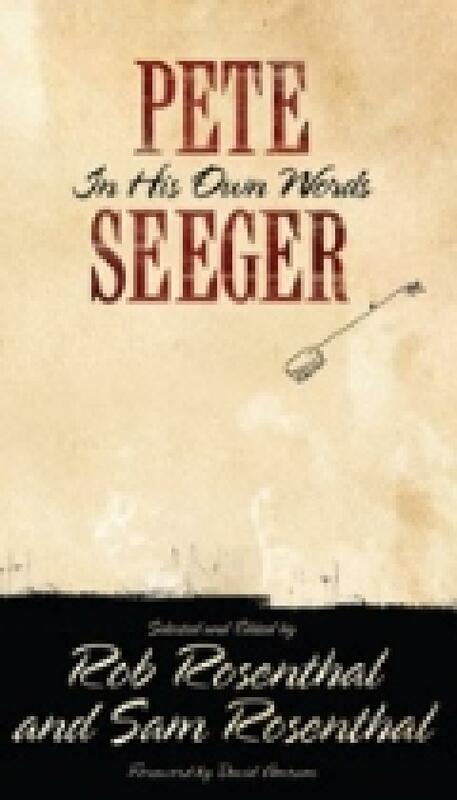 The book offers unusual insight into Seeger’s motivations, and for his relentless optimism in the face of adversity. Seeger has spoken the truth for nearly 100 years, and his writings offer inspiration to all those working for peace, justice and for a better world. If you know little about Seeger, I strongly suggest viewing the 2007 documentary, Pete Seeger: The Power of Song. It includes remarkable footage of Seeger from the 1930’s to the present, including his singing in the fields of Mississippi to young civil rights activists affiliated with SNCC. The video will lead many to want to learn more about this remarkable man, which is why Rob and Sam Rosenthal’s book of selected letters from Seeger is so important. Pete Seeger has been, above all, a man of principle. He sacrificed a lucrative singing career with the Weavers (their hit, Goodnight Irene, sold over 2 million copies in a single year) because he refused to name names before a Congressional committee. He was kept off network television for seventeen years because of this blacklist, and when he finally returned he gave a kick in the pants to his adversaries by singing his anti-war anthem, Waist Deep in the Big Muddy on the Smothers Brothers Show in 1967. CBS then censored Seeger’s appearance, but thanks to the activism of Tommy Smothers Seeger was allowed to return to the show and sing the song in 1968. Among the letters uncovered by the Rosenthal’s is one from 1957 titled “The Bar of Judgment.” It includes Seeger’s review of a 1956 album by Burl Ives, in which Seeger describes Ives’ work as “one of the very best collections you can find of sailors’ chanteys and ballads.” He concludes his review by “giving thanks to Burl Ives” for producing such a fine work. Yet Seeger was able to put aside his personal feelings about Ives and write a review that promoted Ives’ album, saying “a good book is useful no matter who wrote it.” At the time, Seeger was still blacklisted, and Ives was reaping commercial success that-absent the blacklist Seeger would also have enjoyed. Yet Seeger never became bitter, and never sacrificed his principles for money. His musical career was put on hold for years while he lived with his family in a cabin lacking indoor plumbing he built in Beacon, New York on the Hudson River. He would go on to lead the successful effort to restore and revive the Hudson River, an effort described in Seeger’s letters that reveal him to be a master community organizer in addition to all of his other skills. If you take a look at the songs Seeger wrote, you will find many associated with him missing. That’s because Seeger was the chief popularize of such Woody Guthrie songs as This Land is Your Land. He also enabled the world to learn the songs of Huddie Ledbetter (aka Leadbelly). Among the letters in the book —“I Knew Leadbelly”—describes the 17 year old Seeger meeting Ledbetter, who wrote Goodnight, Irene and other hits. In another letter, Seeger recounts that Paul Robeson “was the hero of my youth.” He attended Robeson’s Madison Square Concert in the late 1930’s, and was also present at the 1949 Peekskill riots where right-wing fascists aligned with local police tried to kill the legendary black singer. The civil rights anthem We Shall Overcome is widely known today because Pete Seeger popularized it in his 1948 edition of “People’s Songs.” He describes the roots of the song in a letter, and how he learned of it in 1947 from Zilphia Horton of the Highlander Fold School. It’s no wonder that Dylan, Springsteen and virtually every great singer who aspired to reclaim folk traditions revere Pete Seeger. This single man has known all of the folk icons of the 20th Century (he also reclaimed folk songs with Alan Lomax) and still performs concerts into his 90’s! Bruce Springsteen joined Seeger at the 2009 concert that preceded Barack Obama’s inauguration. In typical Seeger fashion, he sang the version of This Land is Your Land that criticized private property and the nation’s mistreatment of the poor, rather than the sanitized version that has replaced it in schools and more “mainstream” recordings. Pete Seeger is one of the greatest Americans of the past century. Like Tom Joad, wherever there was a struggle for justice, he was there. The Rosenthal’s (the father Rob is a professor at Wesleyan University and son Sam is a musician) have done a tremendous service in sorting through Seeger’s file cabinets to retrieve these letters. They have produced a book that all Seeger admirers will want to read. [Randy Shaw is Editor of BeyondChron. He sang “I Got a Hammer,” “Passing Through” and other Seeger songs as a youth in summer camp. Taking its cue from the unified Palestinian call for Boycott, Divestment and Sanctions (BDS) against Israel, Targeting Israeli Apartheid examines the Israeli economy and details the Israeli and international companies complicit in Israeli state repression. 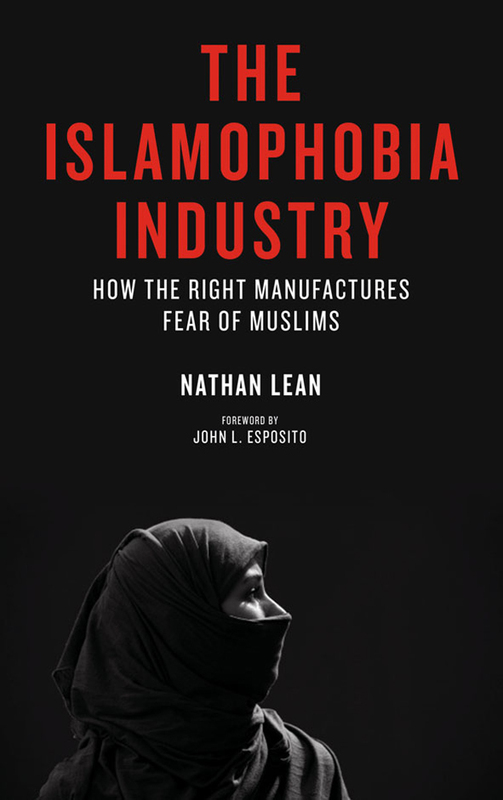 Based on original research in Palestine, the book shows how these companies can be targeted and provides the international BDS movement with the information necessary to bring the Palestinian struggle to the doorsteps of those who profit from Israeli apartheid. The rationale for this book is simple: information for action.Targeting Israeli Apartheid: a BDS Handbookprovides the international BDS movement with the information necessary to bring the Palestinian struggle to the doorsteps of those profiting from Israeli apartheid. Despite zionist attempts to hide the truth by censorship, the ‘hidden’ works of Gaza’s children is now available in bookform …. just in time for the holidays. Artwork made by children in Gaza who lived through Israel’s attacks in the winter of 2008-09 and exhibited by the Middle East Children’s Alliance (MECA) in the Bay Areais now available in book form in order to reach a wider audience. The collection of original artwork was scheduled to be exhibited in September by the Museum of Children’s Art in Oakland (MOCHA), but due to intimidation and pressure from Israeli lobby groups, the museum canceled the exhibit at the last minute. With beautiful, high-resolution print images of the exhibit, the book also features a special foreword by celebrated author, Alice Walker, as well as an essay by MECA Executive Director, Barbara Lubin, describing the struggle against the censorship. The book is available for order on the MECA website. I read Nelson Mandela’s inspiring autobiography many years ago. His book was titled “Long Walk to Freedom” because it was done after the end of apartheid. Marwan Barghouthi’s book is not an autobiography in that sense because our people’s walk to freedom is still ongoing. 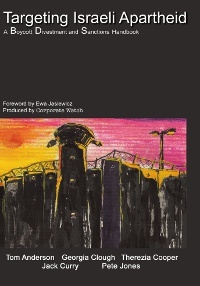 It is thus titled “One thousand days in prison isolation cell” and refers to a part of the struggle. We indeed look for the day that our political prisoners can write books at the end of the road to freedom. We are in the Olive Room of the King David Hotel in Jerusalem for a meeting with two history teachers — an Israeli and a Palestinian — who have written a double narrative of this land. The Israeli, Eyal Naveh, in his open-necked shirt, has a casual toughness you find in many Israelis over sixty, yet with keen, blue-grey eyes that are empathetic despite having fought seven wars to defend his right to stand here. Our group of thirty-five sighs and nods. We are lawyers, entrepreneurs, peace activists, professors, political operatives, and writers, mostly American and many Jewish, who are on a ten-day, fact-finding trip to Israel, the West Bank, and Jordan. Our host is J Street, an American organization committed to a two-state solution to the Palestinian-Israeli crisis, one with strong security for Israel and a viable state for the Palestinians. I’m here in 2010, partly because of a 1924 photograph over my desk: of my father visiting Mt. Scopus in Jerusalem, one of hundreds who watched the ceremony of laying the cornerstone of Hebrew University that year and imagined a Jewish democracy built on justice and fairness. I also liked the J Street itinerary. We are meeting all sides from Israel’s president to the Palestinian Authority’s prime minister: from Jewish settlers, to West Bank resistance fighters, to UN officials in Gaza. “A whiplash trip,” is how Jeremy Ben Ami, the head of J Street, described it. And so it is, each voice informing and contradicting the next, except for two other Palestinians who had to cancel because of checkpoint issues. A new textbook on Israel/Palestine offers two parallel historical accounts with space in the middle for students to join the conversation. So today’s hitch is not a fluke; it is part of the double narrative of this land. You hear it in words like the Nakba, or Catastrophe, which is how Palestinians describe the first war in 1947, the one the Israelis call the War of Independence because it began after the Arabs rejected the UN pronouncement of the State of Israel — and attacked. And in what the Israelis call the Security Wall, designed to stop the suicide bombers from blowing up discos in Tel Aviv and bus stations in Jerusalem — and the Palestinians call the Racist Wall or the Apartheid Wall because it cuts into their land and prevents their moving freely into Israel proper for jobs and family, as they did before the Intifada, a word that conjures up the liberation movement for Palestinians and the existential threat of annihilation for Israelis. The war … is known as the War of Independence because it resulted in independence for the Jewish community in the land of Israel, in spite of the fact that at the beginning local Arabs, and then armies from Arab countries … attacked isolated Jewish communities, Jews in the cities, and on the roads…. They also employed terror tactics — all Jewish people, settlements and property were considered to be legitimate targets. 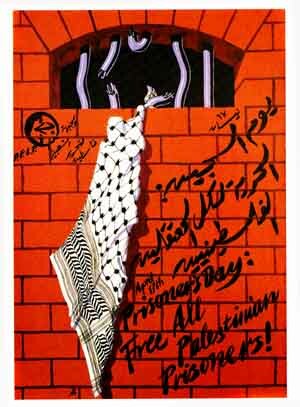 Fighting and clashes between the Jews and the Palestinians began after UN Resolution 181 was passed by the General Assembly on November 29, 1947. The situation deteriorated into an unequal confrontation. Zionist forces were organized, armed and trained. Not only were they superior to the Palestinians, who for over 30 years had been exhausted by unjust British policy and Zionist terrorism, but these gangs were also superior to the Arab armies, which entered the war on May 15, 1948. And in between is white space for students to join the conversation. Naveh tells us that people are ordering the book around the world, but you won’t find it in Israeli or Palestinian schools because of political fury on both sides. “No permission yet, but we keep trying,” says Adwan on the speakerphone. Such a book could get beyond the sound bites of vengeance and fear, our group agrees. It could promote understanding and empathy. If only… I think of what Napoleon said: ‘that history is myth that men agree to believe in” and how the double narrative undercuts that myth — and the agendas that depend on telling one side of the story. It’s the oldest of stories — and begins this way: Abraham, the patriarch, comes from Ur (somewhere in Iraq) to the land of Canaan (now Israel/Palestine) with his wife Sarah. They are childless for so long that Sarah, beyond the age of childbirth, agrees to let Hagar, her Egyptian handmaiden, have a child with Abraham. His name is Ishmael. Years pass and, miraculously, Sarah gives birth to Isaac. So far, Jews, Christians, and Muslims agree, even about God testing Abraham’s devotion by commanding him to go to the mountain and sacrifice his only son. But then comes one word — Isaac — and the story splits apart. Take your son, your only son, Isaac, whom you love and go to the region of Moriah. Sacrifice him there as a burnt offering on one of the mountains I will tell you about.” (Genesis 22:3-212). That night, I reread Genesis and found no signs of Isaac struggling. In fact, Isaac was duped. When he asks Abraham where the burnt offering for sacrifice is, Abraham says, “God will provide.” End of that episode. So I didn’t see where Dr. C. was coming from. And I will give to you, and to your offspring after you, the land where you are now an alien, all the land of Canaan, for a perpetual holding, and I will be their God. And a well of water appears. When Abraham dies, Isaac and Ishmael return to Hebron to bury him next to Sarah. I didn’t know that until Dr. C. showed us a PBS film about the three great faiths. I liked the story and the question asked by one of Christian theologians in the film: “Is it the beginning of a new story or the end of an old one?” He didn’t know, but I heard reconciliation in the two heads bowed, side by side, and wished this were the scene we all kept imagining, retelling it often to our children. The thriving Arab marketplace that used to exist here on Shuhada Street, at the edge of Hebron, closed down after Israel imposed a checkpoint at one end. Our bus takes the Settlers’ road that bypasses the checkpoint with its long line of trucks and cars and heads for Hebron, the West Bank’s biggest city. Our guide, Ilana, is a passionately peppy, Israeli-American in her late twenties who leads an organization dedicated to bringing Jews to the West Bank to see life through Palestinian eyes. Ilana points out the Wall, and the expanding Jewish settlements that have exclusive rights to this road (Palestinians can’t drive on it) — and the two-color water towers. Palestinians often have their water shut off by the Israelis and so need extra water tanks on their roofs for storage. Those are the black ones. Israeli settlers don’t have these problems and have one tank, in white. “That’s how you tell who is who in this occupied land,” she explains. And yet, looking out the bus window, I am struck by the lush countryside, the neat rows of vineyards, bright white houses, and fields of olive and fruit trees. I expected more shacks and trash. Whether it’s from foreign aid or the Palestinian Authority’s growing power to keep order in the West Bank, Palestinian life (despite Jewish settlements, some rising like fortresses) looks thriving, even prosperous. It was about real estate, even then. We don’t go inside the Cave of the Patriarchs — this is not that kind of trip — so I don’t see the subterranean caves, or spaces where Jews, Muslims, and Christians, depending on the century, come to pray. Ilana’s focus is on the Israeli soldiers standing on Shuhada Street that abuts the Cave complex. “Israel needs five hundred soldiers to protect six hundred settlers and two hundred rabbinical students. Why? Because they live in this Arab neighborhood.” Several of us shake our heads. What a waste! The Israeli soldiers, less than a dozen, are heavily armed and solemn. 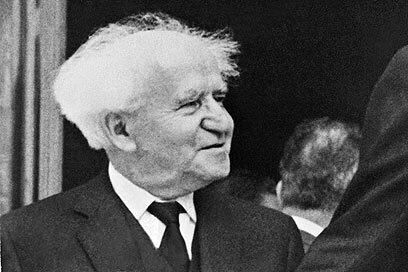 No one smiles or waves, the way I remember in a younger Israel. It was 1972, and my family spent a sabbatical year in Haifa. Israel had taken over the West Bank in the 1967 war, but the moral and political ambiguity of occupation had not yet set in. We hiked with Israeli friends in the Jordan Valley, we shopped freely in Arab souks in the Old City of Jerusalem, and the army stood guard, holding a moral compass that pointed one way: to defend Israel’s right to exist. We all felt proud of the soldiers and they felt proud of themselves, smiling easily. “Did the shop owners get compensated at least?” Another shrug. Israeli settlers plastered what was once a thriving bus station with murals and placards aimed at challenging Arabs’ right to live in Hebron. The wall’s history is in four parts, beginning with the “Roots of the Jewish People.” Here in Hebron, it says, our forefathers and mothers are buried. Here is the capital of Judea where King David began his reign. And here in 1929 “Arab marauders slaughter the Jews. The community is uprooted and destroyed.” There is a plaque with two candles and picture of a rabbi and his wife, among the seventy or more killed in those riots. The British, then in control, evicted the remaining Jews, wanting no more trouble here. This land was stolen by Arabs following the murder of the Hebron Jews in 1929. We demand Justice! Return our Property to Us! The lettering is in bright red, full of fury and self-righteousness. 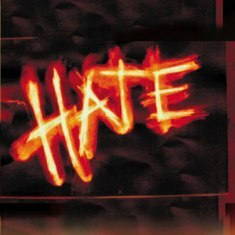 I recoil from the certainty of hate. “I recoil from the certainty of hate,” Schwartz writes, reacting to this sign in Hebron. Still, Ilana told only half the story when she blames the Jews for living in this Arab neighborhood. Before 1929, it was the Jewish neighborhood; the settlers are arguing for the right of return, much like the Palestinians who had to flee Jaffa and Ramallah in 1947. It’s ironic how, whichever narrative it is, the themes stay the same: displacement, exile, right of return, victimhood, injustice. Beyond the checkpoint in Hebron, shoppers flock to a bustling marketplace. Ilana interrupts to point out four Arab schoolgirls in blue uniforms. “They must pass through the checkpoint to and from school and until recently, they had to go through an x-ray machine. Some parents were so concerned about radiation, they kept the children home.” We feel their parental despair — with outrage. Half a block beyond the checkpoint, everything changes. We are in the middle of a bustling marketplace, both modern and timeless. There are rows of bright yellow buses and cabs, windowed storefronts, and streets crowded with stalls and tables piled high with blue jeans, embroidered dresses, pita, or shoes. There’s even one with string beans. Why isn’t this part of Ilana’s story? Does it lessen the impact of the empty street? Or the Arab schoolgirls? Not for me. I’m drawn to the gray narratives, the contradictory truths: the deserted souk and the thriving marketplace; the evils of the Occupation and the Massacre of Jews in 1929. And now, the third narrative told by Herzl: of Jewish rescue by Arab neighbors. How can there be peace without recognizing it all? “This restaurant is Hebron’s best,” says the assistant mayor, who greets us in a room full of lattices strung with grapevines, the sun’s rays streaming in. Each table has two Palestinians who will tell their story, says Ilana, as we sit down to mounds of hummus, pita, and black olives, all the good stuff. Beside me is a young Palestinian teacher, slim and earnest, who speaks excellent English and says, shyly, that he spent a few months in the United States.” I’m about to ask where, when the mayor stands to welcome us. An urbane man in Western dress, he tells us how important it is for us to be here together. “Even the Jews among us should feel welcome.” I wince. Then Herzl stands up — it’s his turn to introduce our group and say how pleased we are to be here. People keep dipping into hummus, familiar with the routine until we hear, “This day is special for me because my family comes from Hebron.” The restaurant quiets. The mayor’s contingent looks up. We all do, as Herzl tells with great pride how his grandmother was one of the four hundred Jews who were hidden by twenty-eight Arab families during the massacre of 1929. Ali, a Palestinian whose brother was killed by Israeli soldiers, is part of a growing nonviolent resistance movement. After all the speakers, I talk more with the Palestinian beside me. He grew up on a small farm next to a Jewish settlement and says there was a hole in the barbed wire fence between them. He and the Israeli children would crawl through, trading marbles for figs and plums. To this day, his family has a photo of both families in their farmhouse, taken at some shared celebration. During the Intifada, the fence was replaced; there’s no connection anymore. I ask what it would take to change that. “Take down the fence,” he says. Simple, really, when the answer comes out of individual experience that is good. From my window in the Intercontinental Hotel, I see a mosque across the street, the afternoon light glowing red on its stone. Not much movement. Has it been abandoned? I ask the concierge, who says it may be used sometimes; he doesn’t know its name. When I take a swim at the hotel pool, surrounded by bikinis and voluptuous white towels, I imagine the Muezzin’s call to pray, maybe even hear its low murmur on the other side of this stucco wall. A view from the author’s window in Tel Aviv. From my window, to the right of the mosque, I see Tel Aviv’s beaches: white sand and calm blue waters. To the left is a building complex with its back against the sea and a semi-circle, like a small stadium, in the middle. Every Israeli knows what’s here: the burnt shell of the Dolphin Disco blown up by a suicide bomber in 2001. They know twenty-one Israelis, mostly teenagers, were killed and 120 were wounded. They know there were many other attempts to bomb it — and that a Palestinian terrorist group claimed responsibility for its “success.” And that, after this tragedy, the Army tightened security, increased checkpoints, and building the Security Wall became a priority. And that, nine years later, enemy rockets are still falling on the borders next to Gaza and Lebanon, but no more suicide bombers have gotten through to this heart of Israel. The name of the mosque is Hassan Bek. It was an important mosque, but when many Arabs fled in 1947, it sat idle — until Israeli developers made plans for this site. Then the Muslim community in Jaffa (who are Israeli citizens) joined together, through fundraising and political protest, to make it a place of worship again. It has become a symbol of their rights as Israeli Arabs in the future Israel. Will they be respected? Will they be knocked down? 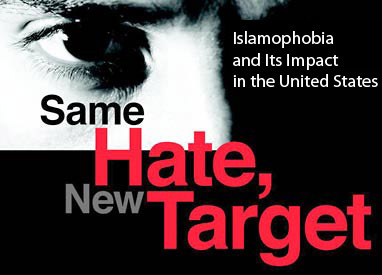 In the States we have a great debate about allowing a mosque close to Ground Zero. The memories of victims collide with the rights of those who, fairly or not, are seen as guilty by association. America is a big enough place with a short enough history to absorb a few such clashes. But in this small land, there is no room to maneuver; ground zero is everywhere you stand. Today we met King Abdullah and Queen Rania, and what a Camelot couple they are. She is beautiful, a Palestinian who talked with great enthusiasm about building schools and health centers. He is urbane, very savvy, and of all the leaders we met, he seems most willing to articulate both sides of the conflict. Is it because he is across the border? King Abdullah and Queen Rania speak at the 2009 World Economic Forum. Credit: Creative Commons/World Econmic Forum. The guy beside me touches my sleeve. “Will you send me a copy of what you are writing?” He’s dark, slim, and Mediterranean-looking, with a tiny scar on his cheek — and an appealing earnestness as he hands me a slip of paper: “Abdul A.” neatly handwritten, with an email address below it. “I was looking over your shoulder and want to read more.” He smiles. “You are writing about my king.” Abdul lives in Florida now, a U.S. citizen, he says, but with family still in Jordan. “Yes,” I say. He nods again. Now I could shut my computer and then my eyes, as on other long flights next to talkative strangers. But here is a Palestinian who is not royalty, not in the high-powered political loop we’ve been in all week — and yet an essential part of it. “Why do you still feel Palestinian?” I ask. I can’t help imagining Abdul grandparents saving Herzl’s grandfather and think: How great would that be! I scan the aisle looking for Herzl’s silver hair; he is somewhere on this plane. “Have you been back to Hebron recently?” I wonder if he has seen the Israeli soldiers on Shuhada Street and the dozens of empty stalls. I wish friendship rather than religion had made the difference, but I won’t quibble. 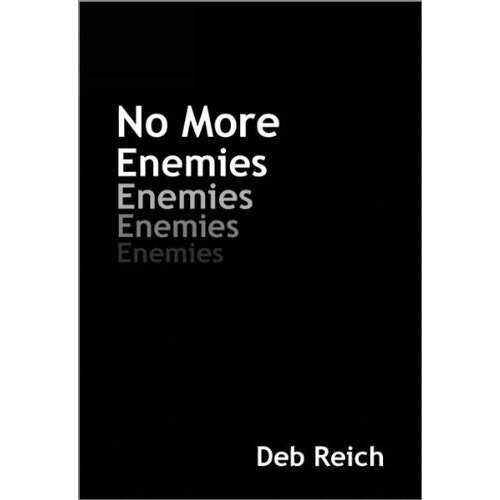 In my father’s German village, during Nazi times, Christians brought soup at night to hungry Jews, someone shared a ration card, another saved a Torah, but in dozens of interviews for a book I wrote, I found no one who defied an angry mob outside the door. Some parents choose to keep their children home from school to protect them from the daily radiation of x-rays at this checkpoint in Hebron. “You are right. This is a problem,” he says. Abdul says the same thing that Prime Minister Fayyad of the Palestinian Authority told us: “These groups will lose power if there is peace.” Abdul and I are on the same track, nodding, pleasant, sensible. And then out of the blue: “You know what created Hamas?” his voice rising now. “The Americans!” “You know what created Hezbollah? The Israelis!” I hear the words bounce off the ceiling. Whoa! I can’t let that go by, another version of the blame game, that everything is everyone else’s fault. We venture below the “We-all-want-peace mantra” until anger builds, we are quiet for a while, and then we start again. Maybe because I know about his daughter, and he knows about my marriage, even about my shoes. Baggage in hand, we get ready for home or other flights, but for this moment we’ve found some common ground to stand on — and a small narrative we all can tell. *Mimi Schwartz is the award-winning author of five books, most recently, Good Neighbors, Bad Times — Echoes of My Father’s German Village (2008). Other books include Thoughts from a Queen-Sized Bed (2002) and Writing True, the Art and Craft of Creative Nonfiction (with Sondra Perl in 2006). For more information, go to www.Mimischwartz.net.